The e-commerce boom has dramatically impacted the trucking industry. Gone are the days where drivers could wait several days, or even a week to fill their trucks before hitting the road. As e-commerce industry giants continue to increase customer expectations, trucking businesses need to find ways to make fast deliveries without increasing shipping costs. One of the greatest challenges created by the e-commerce boom is balancing shipping expenses with consumer expectations. With 55% of customers preferring same-day delivery and 44% expecting next-day delivery, truck drivers are going to be hard-pressed to keep up without increasing shipping charges. Consumers don’t want to pay extra shipping fees, and in many cases expect free shipping. With more companies offering free shipping on minimum orders, the solution to the added expense will likely fall on the retailer rather than the consumer. As a result, packaging is expected to undergo significant changes. Smaller, lighter, leaner packages are likely to replace less streamlined options currently in place. As more brick and mortar stores close, as the result of more efficient online competition, truck drivers are in higher demand than ever. Compounding this issue is the ever-growing truck driver shortage. While this is a challenge for fleets that make their living with long hauls, it spells opportunity for local and regional operators. It is often more efficient for independent operators, and smaller regional fleets to make the short-haul and last mile deliveries than it is for large fleets. Amazon Logistics offers an example of the new opportunities available to owner operators and trucking entrepreneurs. Their website offers an “opportunity to build and grow a successful package delivery business,” with low startup costs, technology assistance, and an existing customer base. Today, savvy owner-operators can identify a wider variety of local and regional shipments that don’t require travel outside of their state boundaries. Shifting industry dynamics also results in a changing risk landscape. Fleets that make long hauls have different concerns than owner-operators that work within a 250-mile radius. Whether your transportation business comprises a fleet of vehicles or is an independent operation, Interstate Motor Carriers can help. Contact us to learn more about our innovative solutions to reduce transportation risk. 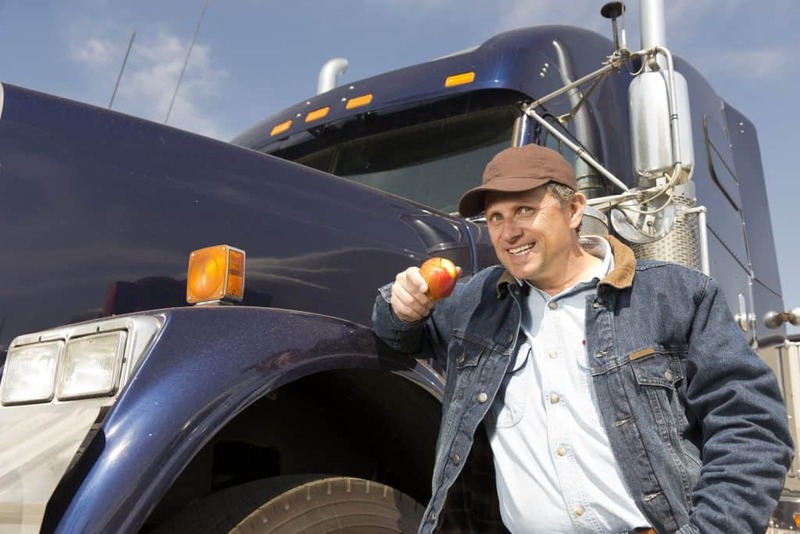 Maintaining a healthy diet and fitness routine is difficult for anyone, but truck drivers have a few additional challenges. 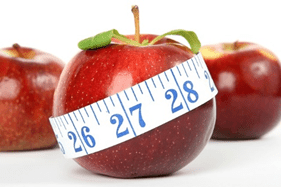 However, overlooking poor food choices will catch up quickly in pounds, health problems, and even issues at work. Eat less food at more frequent intervals. Eating big, heavy meals may feel satisfying for the moment, but it can cause problems for drivers later. Large meals weigh drivers down and make them drowsy, increasing safety risk. Eating more meals throughout the day with smaller portions can improve drivers’ metabolisms and help keep them alert. Ditch the sugary drinks. Many people think their food choices are causing their weight gain, but beverages can pack on the pounds as well. Sugary sodas, sweet tea, energy drinks, and even coffee can all rack up calories throughout the day. Truck drivers should try to make water their primary hydration source. If the lack of taste is an issue, drivers can try squeezing in a bit of lemon to add some flavor. Bring healthy snacks on the road. Packing ahead of time can help truck drivers avoid making poor food choices due to hunger. If drivers keep hummus, peanut butter, and a mix of fruits and vegetables with them, they can satisfy hunger cravings with healthy options instead of greasy, fried ones. Keeping a stock of nonperishable snacks such as granola bars, nuts, and trail mix can help as well. Plan routes with food in mind. While drivers have set routes, they can plan where they intend to stop to eat. If drivers wait until the last minute to look for food options, they may find themselves surrounded by fast food and not much else. However, if they take the time to identify delis or grocery stores on their route, they can find a healthy meal option. Finding a routine that works best for maintaining a healthy lifestyle may involve a bit of trial and error for truck drivers. However, even if fast food is their only option, some restaurant chains offer healthy menu items. Check out our list of healthy fast food choices to learn more about staying safe and healthy while on the road. Contact Interstate Motor Carriers to learn more. Truck drivers spend so much time on the road that it can be difficult to find an opportunity to go to the gym. While some gyms are open 24 hours, there is a limited number available and they may not be convenient on any given route. Many truck drivers don’t want to pay for a gym membership when they can’t use it regularly. This results in truck drivers neglecting their health and fitness. Dips. Dips are great to tone triceps, delts, and pecs. Trucker drivers can use a chair, tire, bumper, step or even perform this exercise directly on the ground. Lunges. This foundational bodyweight strength exercise is great for developing leg muscles. The lunge is suitable for beginners and can be used with additional weight to increase intensity. If truckers keep a set of dumbbells in their rig, they can get even more out of their lunge routine. Planks. This core exercise also works drivers’ arms, backs, and legs as well. It’s a great exercise to target a lot of muscles on the body. Much like push-ups, so long as drivers have room to extend their legs and brace their hands shoulder width apart, they can perform this exercise. Push-ups. Individuals can scale this exercise to meet their fitness level. So long as there is room for drivers to extend their legs back and space their hands shoulder width apart, they can perform the standard form of this exercise. Drivers just getting started on their physical fitness journey can perform push-ups from their knees or by leaning against a wall. Drivers can pass the time waiting on a load by doing a few sets of push-ups. Sit-ups/crunches. Drivers can perform these exercises straight from their sleeper. This makes it an ideal exercise to start the day. Waking up ten minutes earlier than usual to knock out a few sets of sit-ups can improve drivers’ abdominal strength and overall health. Drivers can even incorporate abdominal squeezes while they’re stopped at red lights or for the duration of certain songs on the radio. Squats. The squat is a lower body strengthening exercise that truckers can perform almost anywhere. It’s a highly functional exercise movement working major muscles of the hips and legs. To execute a superman, simultaneously raise your arms, legs, and chest off of the floor, then hold this contraction for 2 seconds. Drivers should remember to exhale during this movement. Superman. It may take truckers a while before they feel like superman, but they will definitely get in better shape if they add the superman exercise to their workout. The superman is a bodyweight movement that targets the posterior core and lower back muscles. Walking. Don’t underestimate the benefit of walking. Many truck stops include walking trails for this exact reason. However, in lieu of walking trails, truck drivers should try to increase the number of steps they take in any given day by parking in the farthest spot from their destination, and using stairs instead of elevators whenever possible. Keeping truck drivers healthy has long-reaching effects. Healthy truck drivers are less prone to illness, which allows fleets to operate at optimum levels. Contact the experts at Interstate Motor Carriers to learn how we can help your trucking company. Truck drivers and fleets are aware of the importance of CSA scores. While FMCSA can’t suspend a CDL license due to CSA scores, they can target drivers for interventions and levy heavy fines against them. This is why it’s critical for both owner-operators and company drivers to keep their CSA scores low. Drivers can follow these 5 steps to improve their CSA scores. 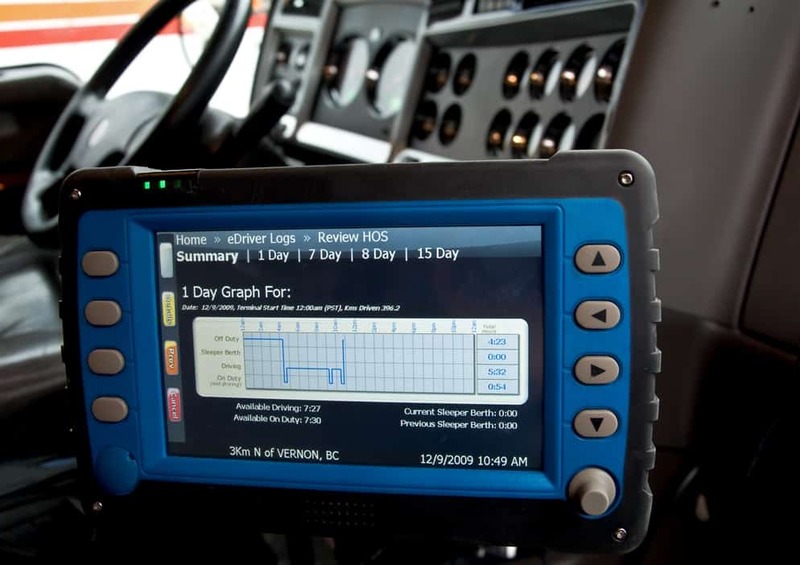 Harness the power of electronic logging devices (ELDs). One of the most common violations roadside inspectors see are “form and manner” violations. These types of violations include outdated logs, hence the usefulness of an ELD. While FMCSA regulations required all motor carriers to upgrade their vehicles to include an ELD in December of 2017, some can continue to use an automatic on-board recording device (AOBRD) through 2019. While the technology has a temporary grandfather clause, it’s worth the peace of mind to make the change to an ELD. Focus on the brakes. With Brake Safety Week in the recent past, many carriers are feeling the sting of brake violations. Given the importance of braking for truck safety, it’s surprising how often drivers overlook them during pre-trip inspections. While checking brakes is harder and messier than other aspects of pre-trip inspections, brake violations add up quickly. Perform thorough pre-trip inspections. Brakes aren’t the only element that drivers need to inspect before hitting the road. In addition to problems with brakes, the most common violations relate to lights and tires. A broken light alone carries a 6-point penalty. Problems with tires carry an 8-point penalty. Several light and tire violations can rack up CSA points and hurt a carrier’s safety rating in one roadside inspection alone. Performing a complete pre-trip inspection can help drivers and carriers avoid these hefty penalties. Challenge violations. Fleets and drivers aren’t without recourse following a violation. They have two years to challenge the violation, which can result in a smaller penalty or a dismissal of the charge. Even if the charge isn’t dismissed, reducing the severity means reducing the point value assigned to it. It’s always worth the effort to challenge violations. Drive healthy. Failing to produce a valid medical certificate carries a relatively small fine of one point. However, driving while ill is one of the most serious violations and carries a 10-point penalty. Fleet managers need to make sure drivers have valid and up to date medical cards certifying their health and fitness to drive as well as monitor any health concerns. Implementing regular training on driver safety can go a long way toward avoiding these violations. Companies that put a focus on driver safety can implement proactive measures to improve safety and reduce risk. Contact Interstate Motor Carriers to learn more about managing your fleet’s safety and risk needs. Uber launched its innovative trucking app “Uber Freight” a little over a year ago with the intention of revolutionizing how truck drivers perform their jobs. The app works much like standard Uber services. However, instead of pairing a rider with a driver, the app pairs a truck driver looking for a job with nearby freight. Truck drivers can plan these jobs weeks in advance or the day of if they so desire. Why is Uber Freight Good for Owner Operators? One of the key differences for truck drivers booking a load with Uber Freight versus on their own is that they don’t have to negotiate the fare with shippers. Uber Freight predetermines and guarantees prices before the shipment begins. Once the driver delivers the freight, the app starts the reimbursement process and guarantees payment within seven days. How Does Uber Freight Calculate Prices? Distance. This is one of the biggest elements in determining a price for a delivery. Cargo type. Some cargo is more valuable or sensitive and thus nets a higher rate. Location. Certain areas generate higher prices much like any other service. Surge pricing. Uber Freight understands supply and demand and adjusts prices to reflect the marketplace. Traditional Uber services don’t give the rider many options when it comes to their driver. 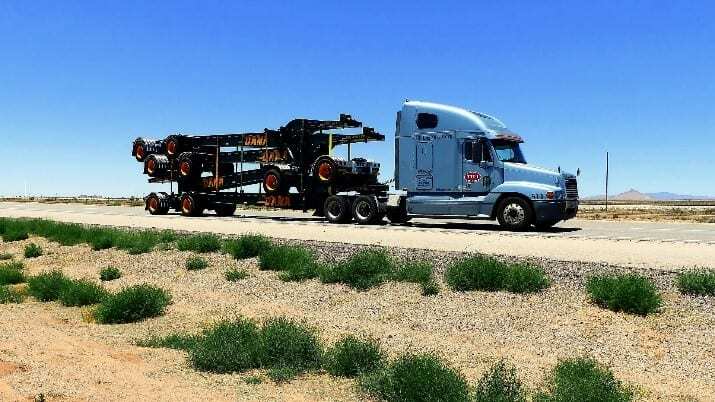 However, Uber Freight offers Owner Operators many options to secure the best load for their rig. Drivers can swipe through a variety of available jobs rather than the app pairing them with one like Uber does for traditional riders. The app also recognizes the need for fine-tuning and allows drivers to sort by date, time, and location. Uber Freight Plus fuel card. So long as drivers book one load per month, the app saves them 20 cents per gallon at TA/Petro truck stops and 15 cents per gallon in participating Roady’s gas stations in California, Texas, and Illinois. These individuals can also save up to 30% on Goodyear tires. Savings on truck purchases. Once an individual hits 10 loads per month, they can save up to $16,000 at Navistar on new trucks or earn a $4000 rebate for used trucks from participating brands. Navistar also offers 20-50% off the cost of parts and vehicle maintenance. Other perks and benefits. There are several bonuses for drivers who use the Uber Freight Plus app such as discounts on phone plans with Sprint. The app also learns driver preferences over time much like Pandora creates unique stations for its users. The app pays attention to the driver’s preferences, such as where they prefer to travel, and makes recommendations on available jobs. Drivers can also list their availability to help companies match with them. Uber Freight can be a major benefit to independent operators and small fleets. Harnessing the power of innovative trucking technology can help truck drivers decrease the amount of time they spend looking for jobs and improve their overall bottom line. To learn more about enhancing and protecting your trucking operation, contact the experts at Interstate Motor Carriers. Finding healthy entrees at fast food restaurants doesn’t need to be difficult. As consumers have become more health-conscious, restaurants have added lighter fare options to their menu. These selections are often under 600 calories and carry less fat content than the traditional burger and fries. Today, a healthy trucker lifestyle doesn’t have to go by the wayside just because the driver pulled into a fast food parking lot. In regards to veggies, many people feel like they have to keep up with trends. If kale isn’t your thing, don’t sweat it. All vegetables are good for you, so pick what you like. Chipotle. This chain offers a variety of healthy options—so long as truck drivers skip the tortilla. Chipotle offers taco salads that allow customers to load up on greens, veggies, chicken or steak. Panera Bread. This chain that offers a variety of healthy options so long as truck drivers resist temptation like the large mac and cheese which weighs in at 1,100 calories. The turkey avocado BLT is healthy and filling while the Greek salad with chicken is a guilt-free yet tasty choice. Burger King. The above two fast food options make it simple to stick to healthy choices. Traditional burger chains like Burger King pose more of a challenge. Truck drivers can keep the pounds at bay by opting for a chicken garden salad and keeping their dressing use to a minimum. Wendy’s. Wendy’s grilled chicken sandwich is a great alternative to a grease-laden burger. Consider swapping out their fries for some chili to increase your protein intake. 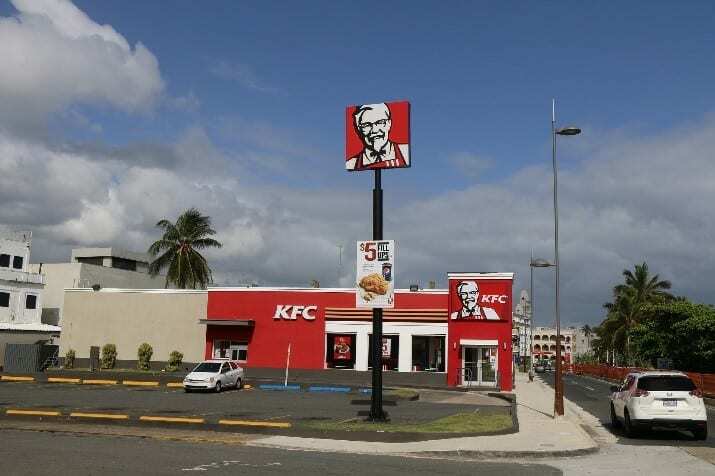 Kentucky Fried Chicken. While fried is in its name, KFC does offer some healthier, grilled options. Their grilled chicken sandwich paired with some green beans are a great choice for truck drivers on the road. Keeping truck drivers healthy is vital for both owner operators and managers of large fleets. Truck drivers need to learn and select the healthiest options available to them while they are out on the road. To learn more creative ways for truckers to stay safe and healthy, contact Interstate Motor Carriers. Many owner operators and small fleets discount telematics, as large fleets are often construed as the primary buyers. However, this doesn’t mean smaller operations can’t benefit from telematics. The data provides valuable feedback for drivers and fleets, regardless of size. Telematics solutions can track acceleration, driver speed, fuel economy, idling time and braking metrics. Telematics can provide exact location data for all vehicles and trailers, extremely beneficial in the event of a stolen truck or lost trailer. Many small fleets write off telematics because they are often considered large scale applications and come with an equally large price tag. However, there are many cost effective solutions today, and even basic smartphone apps, that drivers and managers can use to obtain Telematics data. While a smartphone app alone would be cumbersome for larger fleets, a manager of a small fleet can track the data for a few trucks from the palm of their hand. Though pricing and features vary widely, costs for Telematics can range from under $14 per month for one truck, to over $40 per month per vehicle. Owner operators and smaller fleets need to embrace newer technologies to stay competitive. 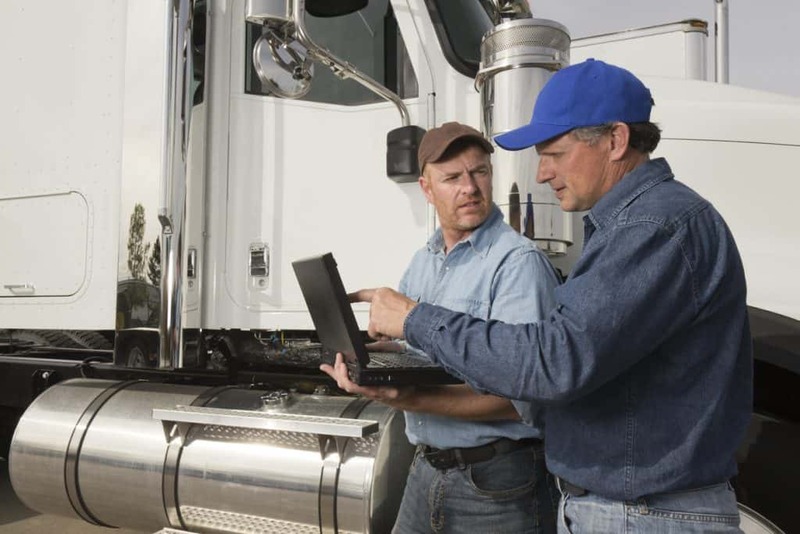 As functionality increases and costs decrease, even the smallest trucking firms can improve operations and profitability by utilizing these cloud based solutions. To learn more about mitigating your trucking risk, contact the experts at Interstate Motor Carriers.